How to Close a Bank Account in Bank of Baroda ? Home / Banking / How to Close a Bank Account in Bank of Baroda ? Close Bank of Baroda Account : Bank of Baroda is a well known bank in India. When you open a new account in Bank of Baroda, at that point of time you might have never thought of closing your Bank of Baroda Account. There can be a number of reasons to close your bank account in Bank of Baroda. The reason may be due to bad behaviour of the bank staff, having multiple accounts and you are not able to manage them, due to closure of your company or it can even due to a dormant or inactive Bank of Baroda Account which has not been used from quite a while. Before you plan to close Bank of Baroda Bank Account, you must see to it that if your reason is due to improper behaviour of some staff of that specific branch, you can plan to transfer your Bank of Baroda Account. 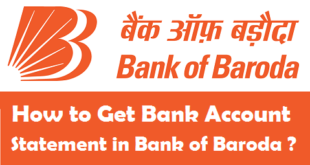 If you are planning to close your Bank of Baroda Account just because it has been dormant or inactive from a long time, you can reactivate dormant Account in Bank of Baroda easily. If you still think you want to close your Bank of Baroda Account, you can follow the step by step procedure for closing bank account in Bank of Baroda. How to Close Bank Account in Bank of Baroda ? If you are looking to close a Bank Account in Bank of Baroda, you need to follow the 3 important steps mentioned below. Let us now tell you the complete procedure of closing bank account in Bank of Baroda. Visit your Bank of Baroda Home Branch and Ask for the Bank of Baroda Account Closure form and fill it up completely. Along with the filled up Account Closure form you also need to surrender your Debit Card, Bank of Baroda Cheque Book and Bank Passbook to your Bank of Baroda Home Branch. In case you have not maintained your monthly average balance and your balance is below the minimum balance requirement, you will need to deposit the non-maintenance fine amount. In order to prove your Identity and Address to your Bank of Baroda Branch, you may also need to provide the self attested photostat copies of your Proof of Address and Proof of Identity. As soon as you complete the 3 steps to close Bank of Baroda Account, your account closure request will be processed and your account account will soon be closed. You will be receiving your Account Balance by the mode of payment mentioned in your Account Closure form i.e., via Cash, Cheque/Draft or by Direct Transfer to any other Bank Account. You might have noticed that its quite easy to close Bank of Baroda Account offline by visiting the home branch. As of now there is no method to close bank account in Bank of Baroda Online. Closing a Bank Account in Bank of Baroda is usually not recommended to anyone. Apart from just usual banking features a Bank Account serves you many other important purposes such as it acts a valid address proof just by showing your Bank Passbook or Bank of Baroda Account Statement. Also, a bank statement is needed while you take a loan, credit card etc. So, if you just want to close your Bank of Baroda Account just for the sake of closing it, I think you must give it a second chance. Previous What are Mutual Funds and How to Invest in them? Next How to Close a Bank Account in Bank of Maharashtra ? 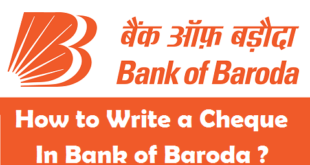 How to Write a Cheque in Bank of Baroda ? 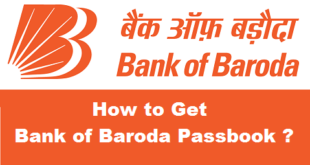 How to get New Passbook in Bank of Baroda ? 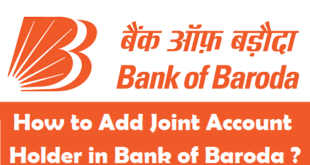 How to Add Joint Account Holder in Bank of Baroda ? How to Get Bank Account Statement in Bank of Baroda ? 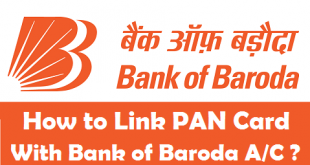 How to link PAN Card with Bank of Baroda Account ? 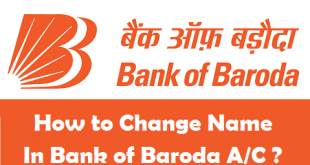 How to Change Name in Bank of Baroda Account ? 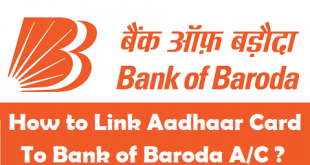 How to Link Aadhaar Card to Bank of Baroda Account ?